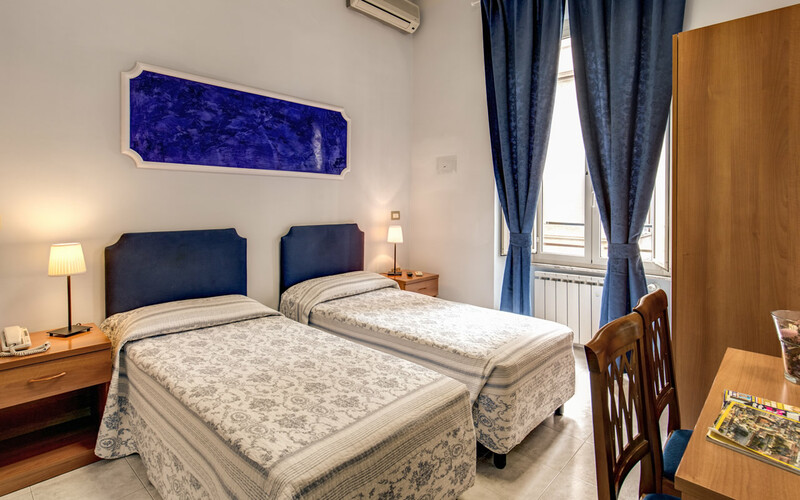 The Salandra Roma Suite Rome guest house offers 6 affordable comfortable rooms that are perfect for couples, families, groups of friends and backpackers on a budget. 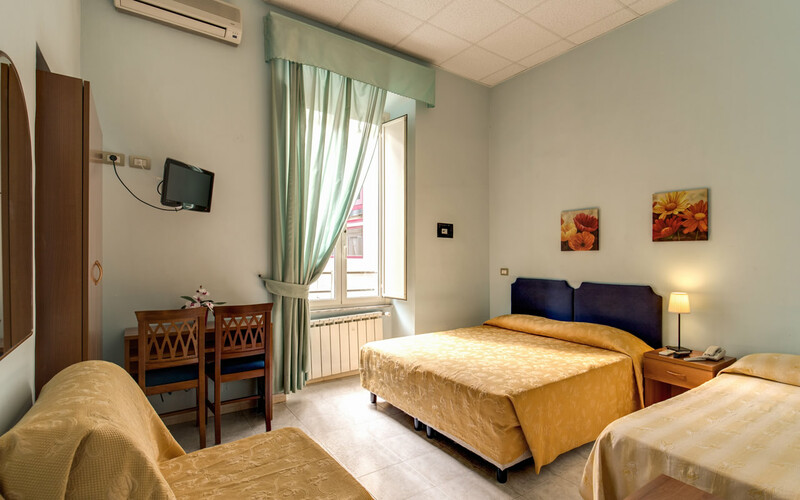 Although our prices are low, the quality of the rooms is excellent and each of our 6 rooms prove to be great value for money. 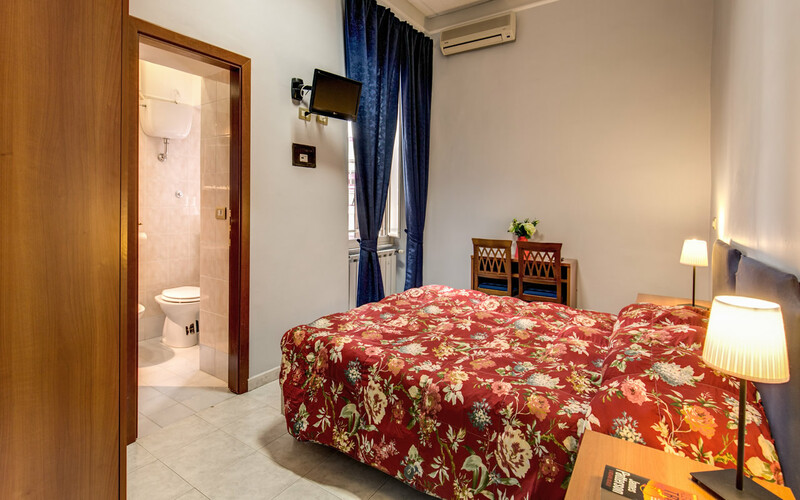 Available in the double, triple and quadruple varieties, each of our rooms is decorated and furnished in a simple elegant style with everything you may need. Comfortable and light, our rooms enjoy private en suite bathrooms with shower, hairdryer and complimentary toiletries. Indeed, our guest rooms boast a whole host of modern conveniences and more can be learned about each accommodation below. 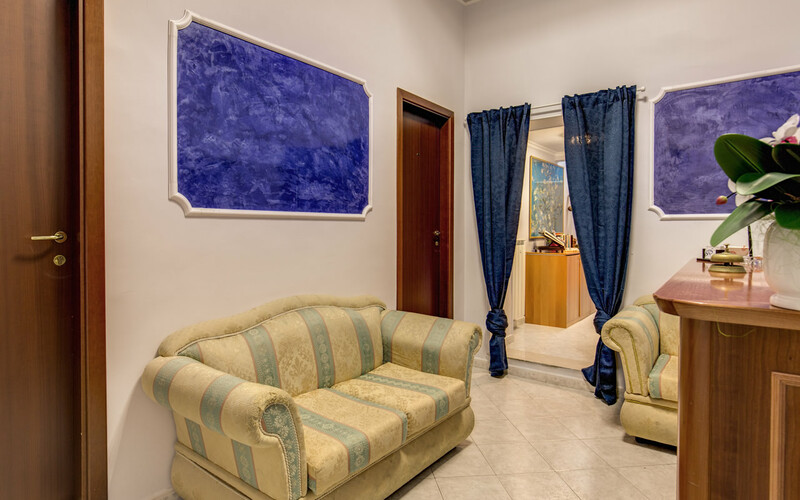 Here at The Salandra Roma Suite Rome guest house, we pride ourselves on our personal service and customer care. 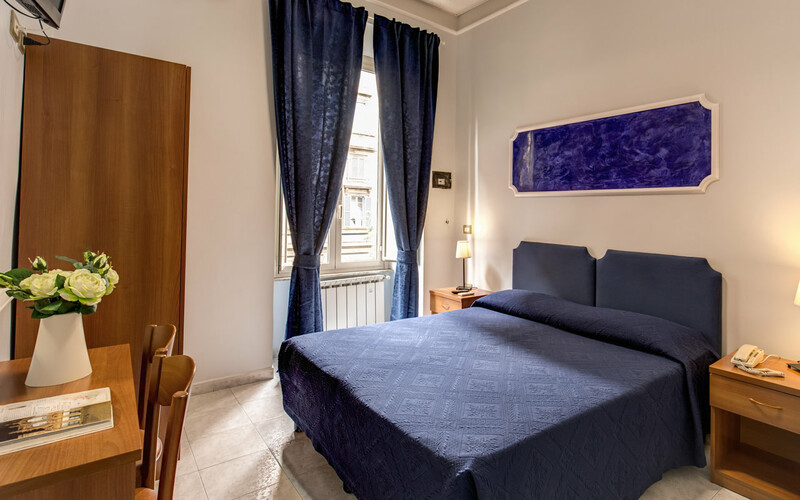 We want nothing more than for you to have a pleasant and relaxing stay with us and to enjoy the wonders that Rome has to offer. In order to help you do this, we offer a variety of hotel type services to make sure you are looked after. 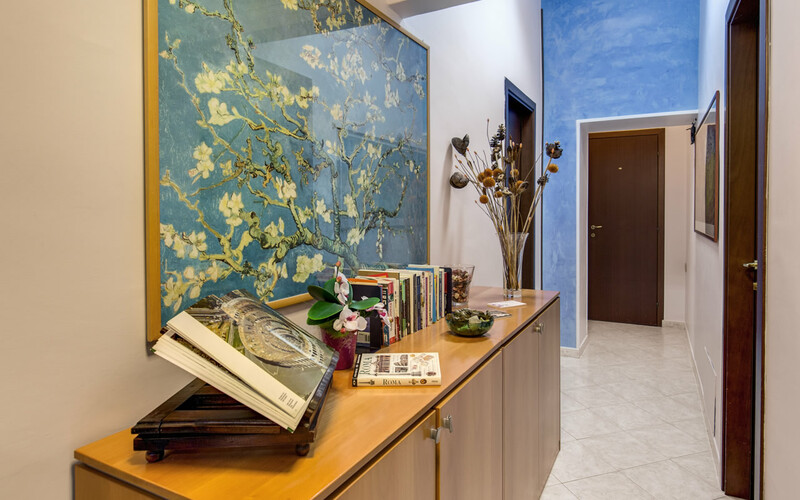 For instance, we operate a reception desk service staffed by friendly multi lingual staff who are always on hand to give you assistance or information. In addition to storing luggage and offering tourist information, we can also assist you with booking taxis, restaurants or even tickets and tours. Don’t hesitate to ask us: Ironing kit, Electric Kettle kit or Sewing kit available in the reception for free. Unlike other guest houses, we also offer a daily housekeeping service in addition to offering all of our guests a delicious complimentary breakfast served in the comfort of your room. A complete list of ways we can help you can be found below. Tourist information & Booking assistance for tours, restaurants, taxis, theatre & opera tickets, etc. Why not take a look at our Photo Gallery section to see some pictures of our great value for money and affordable rooms. When completely satisfied, use our online booking system to take advantage of the lowest possible prices available. Don’t delay - make your booking today!